The rise of mobile commerce, non-bank payment options, and PCI compliance burdens is making many merchants consider new alternative payment options for all of their shoppers. Therefore, the online payments industry is changing. Changing payment options might seem like any easy task, but little attention has been given to the conversion aspect of these new options. Will a new payment method actually help the shoppers and increase sales? Or will this become a new headache for merchants and confusions for all of the shoppers trying to pay for their merchandise? Change can be a good thing, but will this change benefit both merchants and shoppers? What is an alternative payment? It will be a battle of the normal traditional online credit card options versus the new alternatives that will be boosting sales. Alternative payment options. 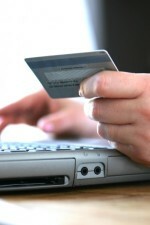 Shoppers have many non credit card payment choices when shopping and paying for their merchandise online. Reviewing all of these options is going to be a must. The appeal to shoppers. Just what payment methods do shoppers really prefer and why is an alternative payment option a better choice? Effect on conversions. Reviewing alternative methods could possibly change your E-Commerce business. Therefore, analyzing the abandonment rates and conversions is a necessity. Importance of mobile. Mobile shopping has been rising rapidly which makes offering an alternative payment option crucial for merchants. Implementation. Most merchants are going to be worried about how hard this transition might be, but installing a new alternative payment choice into your shopping card is not difficult. Reviewing each of these key points is going to be essential in determining just how to make a new alternative payment option available to both merchants and their shoppers. The goal is finding a happy medium in which both side are happy, and the transition goes smoothly, so everyone can shop with new alternative payment options.